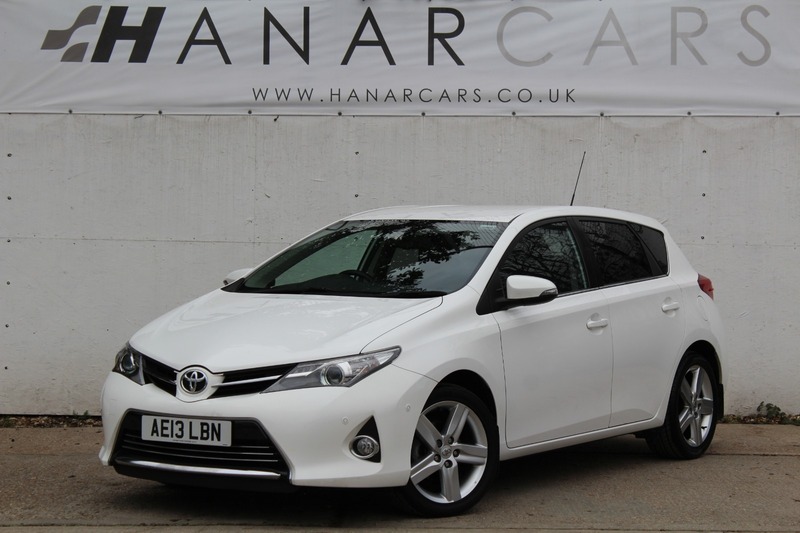 Finance Available - White, 5 Doors, Manual, Petrol, MOT 09/19, 1 Former Keeper, Full Toyota Service History, HPI Clear, Part Exchange Welcome, Drive Away Insurance Available, Free 6 Months Warranty with 12 Months AA Breakdown Cover |Location: Chingford E4 9JG | Further Stock at www.hanarcars.co.uk |, Upgrades - Go Navigation, Standard Features - 6.1in Touch - Screen Display, AM/FM Radio, CD Player with Aux In and USB Connection, Air Conditioning System - Automatic Climate Control, Dual Zone, Bluetooth Mobile Phone Connectivity, Cruise Control, DAB Tuner, Front and Rear Parking Sensors and Rear View Camera, Front and Rear Windows - Electric, Heated Front Seats, Hill - Start Assist, Intelligent Parking Assist, Park Assist incl. Fr./R. Parking Sensors, Rain Sensitive Wipers, Upholstery - Cloth and Leather.